Induction cooking uses induction heat to heat the cooking vessel as opposed to heating the element, which in turn heats the cooking pan. This means that the energy is supplied directly to the pot or pan by a magnetic field. With a standard burner the burner heats up, which in turn heats the pot or pan. Because this method of cooking differs from a standard burner the induction cooking only works with pots or pans that are made from cast aluminum, enameled iron or steel, stainless steel with a magnetic bottom, or cast iron. If a magnet sticks to your cookware, then it can be used with an induction cooktop. 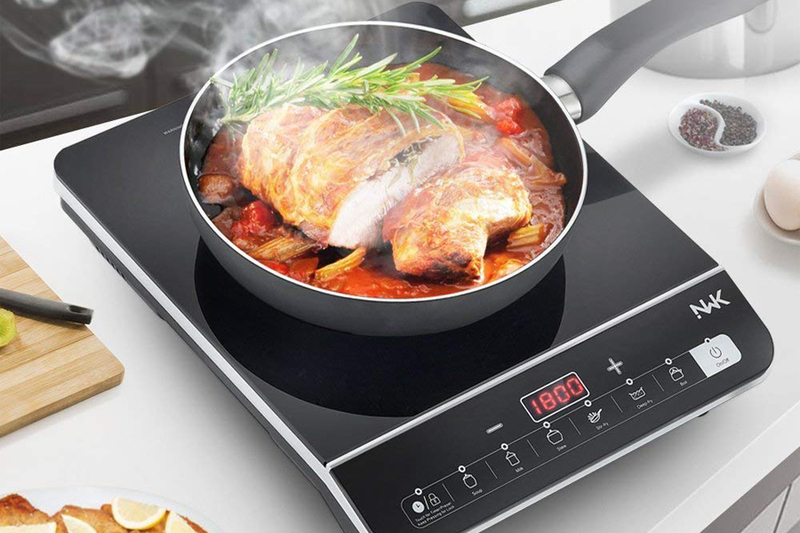 Cooking with induction cooktops is extremely fast and extremely safe. With the market being flooded with an array of induction cooktops, we have gathered information on the best units for your review. The Max Burton 6015 Induction Combination cooktop is compact, easy to use and easy to store. The smooth surface wipes clean with no scrubbing. 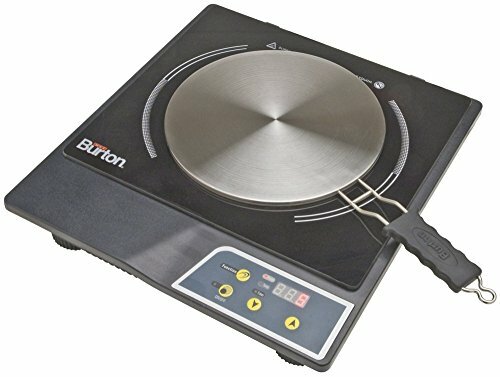 The Max Burton 6015 Induction Combination cooktop comes with 10 power levels and has a temperature range from 140 to 450 degrees F. One unique feature of the Max Burton 6015 Induction Combination cooktop is that it comes with a stainless steel interface disk. This disk can be placed on the induction surface enabling you to use any cookware with the induction cooktop. The Max Burton 6015 Induction Combination cooktop has setting up to 1800 watts which enables you to sear perfect steaks. It heats instantly and is energy efficient. The built in timer goes up to 180 minutes and has a cookware sensor with an automatic shut off if cookware is not present. The durable stainless steel construction enables the unit to distribute the heat evenly. Perfect for individuals and couples looking for cooler and more efficient cooking methods. The Nesco PIC 14 Portable Induction 1500 Watt is simple to use and easy to operate. With 5 power settings cooks have no trouble setting the cook top to the correct temperature. The settings include melt/warm, simmer, boil, fry and sear. The cooktop is compact, easy to clean and easy to store. 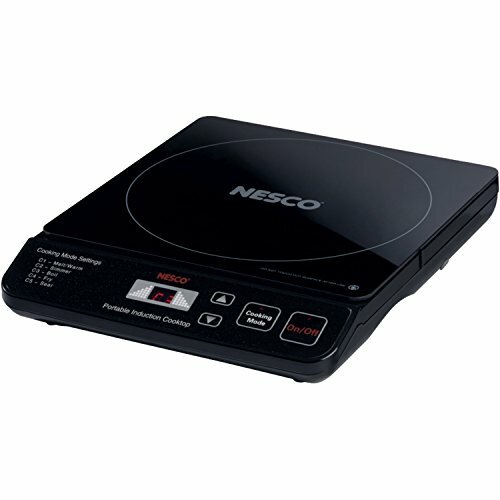 The Nesco PIC 14 Portable Induction 1500 Watt is uses induction cooking methods which provide an energy savings of around 84%. Only the area around the pot or pan is heated and the rest of the unit remains cool. This is safer for families with young children and the elderly. It is also perfect for patios and RV’s where space and temperature are at a premium. The unit heats up instantly for faster cooking and as soon as the pot or pan is removed, the heat stops. The Nesco PIC 14 Portable Induction 1500 Watt/dp/B007B64O0S has a ceramic glass top which makes for simple wipe down cleaning. The unit also includes a tester, which will test your cookware to determine if it is compatible with the induction cooktop. 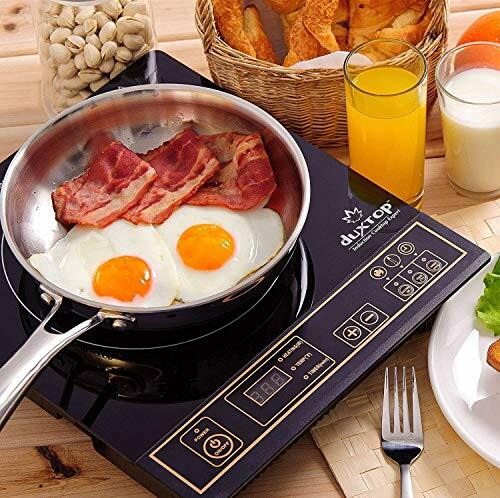 The DUXTOP 1800 Watt Portable Induction Countertop 8100MC is compact, lightweight and easy to use induction cooktop. It has a digital control panel and operates at the push of a button. This induction cooktop system is energy efficient because there is auto pan detection. If the cooktop does not detect a pan on the burner in 60 seconds it will automatically shut off. The DUXTOP 1800 Watt Portable Induction Countertop 8100MC also has a self-detection feature. This enables the cooktop to only heat the surface needed for the size of pot or pan being used. This means that no energy is wasted. Other features for the DUXTOP 1800 Watt Portable Induction Countertop 8100MC include a digital timer up to 170 minutes. There are 10 temperature controls which range from 140 degrees to 460 degrees F. There are also 10 power levels with range from 200 watts to 1800 watts. It comes with a 6 foot cord and plugs into any standard outlet. This cooktop is great for entertaining, outdoors, or when another burner is needed. Great for RV’s because they do not heat up like a standard stove and take up very little storage space.